Awfis, the Delhi-based shared office space provider, has raised fresh capital to expand its geographic presence. It has raised $20 million from Sequoia India, Innoven Capital (joint venture between Temasek and Singapore based United Overseas Bank) and The Three Sisters: Institutional Office led by Radha Kapoor Khanna, daughter of Yes Bank managing director and CEO Rana Kapoor. This is the third round of funding for Awfis, which now has a base of 25,000 seats across 55 centres with a member base of more than 15,000. “The additional capital will aid us in expanding our footprint in India with more than 100 centres and more than 40,000 seats in the next 12 months,” said Amit Ramani founder and CEO of Awfis. “The idea is to deepen our presence in some of the existing locations and foray into tier 2 cities. We are seeing a lot of demand from our existing clients who are also expanding their presence in these locations but at the same time looking at cost optimisation,” said Ramani. Jaipur, Ahmedabad, Indore are among the cities in consideration for expansion. The client list of Awfis includes the Hindujas, Vodafone, Mercedes Benz, the RBI, Hitachi, ShareKhan, Zomato and Practo. Corporate houses can save around 20-25 per cent of their cost through the shared office space model instead of investing in their own office space. Typically these are treated as operating expenses on the part of companies in contrast to capital expense. 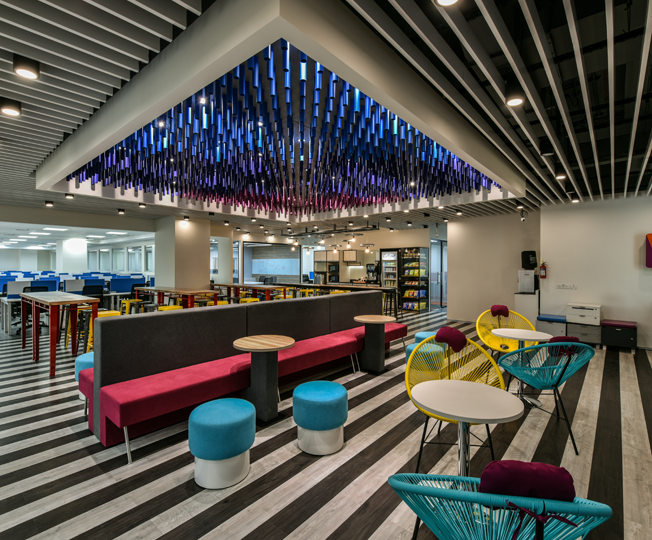 “IT/ITeS, financial services firms, media entities and others (including SMEs and startups) generally explore co-working solutions,” said Ramani adding that the demand for co-working spaces is on the rise with developers looking at transforming the under-utilised assets to provide affordable working space for entrepreneurs. As part of its expansion, Awfis has inked lease deals of around 0.25 million square foot in the last couple months across Hyderabad, Calcutta, Chandigarh and Noida increasing its total real estate footprint to 1.5 million square feet. The company plans to maintain 60 per cent of its inventory in managed aggregation partnering with space owners with unutilised commercial space and the remaining 40 per cent under straight lease. Awfis, a shared workspace provider, is set to expand its presence in Calcutta. 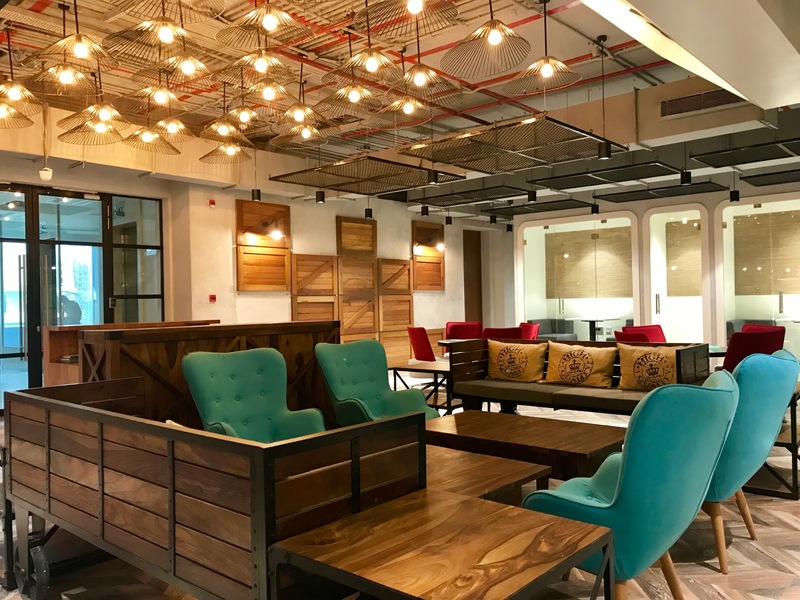 The Delhi-based firm, which has the backing of Sequoia Capital, is looking to add 2-3 additional centres in the city and double the number of seats to close to 3,000 from 1,500 at present. “In Calcutta we have three centres – one on Camac Street, one in Salt Lake and one in Rajarhat. Between these three centres, there is approximately 1500 seats and we will add 2-3 centres in Calcutta, doubling the capacity to 3,000 seats,” said Amit Ramani, founder and CEO of Awfis. The expansion in Calcutta is part of the national expansion of the start-up firm, which received $20 million in 2017 from Sequoia Capital. The company is looking to venture into tier 2 cities and double its existing footprint of 19,000 seats. “We are in Delhi, Mumbai, Bangalore, Hyderabad, Pune, Calcutta, Noida and Gurgaon. We will go to Chandigarh, Kochi, Indore, Bhubaneswar, Jaipur and Ahmedabad. Our growth has been phenomenal. In March 2016, we had 400 seats, in March 2017 we had 4,000 seats and in March 2018, we are close to 19000,” said Ramani. The SME sector constitutes half of the business of the firm followed by corporate houses at 35 per cent and the remaining 15 per cent constitutes freelancers and startups. Mercedes Benz, Hitachi, Vodafone and Sharekhan are among the major companies operating from the Awfis centres. According to Ramani, there are some key advantages of co-working spaces. First, the shared workspace will provide cost savings of up to 20-25 per cent annually compared with conventional leasing. Second, the model provides flexibility of both long and short tenure of rentals. “Finally, the companies can focus on investing in operations rather than real estate for better returns to the shareholders,” he said. The company follows two broad business models – straight lease and joint venture with the landlord involving a revenue-sharing arrangement. “About 50 per cent of the business is straight lease and the remaining is joint venture and management operator model. As we expand into tier 2 locations, there will be more of the latter,” said Ramani. “We have some capital for expansion in the next 6-9 months. But we are a growing company and we will have to raise capital in future,” said Ramani.